Harvest Your Data is proud to present the best multiplatform survey and data collection app on the marketplace. The iSURVEY app can be installed on both your Apple and Android devices. Simply set up a survey within your iSURVEY account and upload it to your Apple or Android mobile devices that are running the iSURVEY app. The process is quick and simple – you don’t need to be a computer programmer to get the most out of the iSURVEY app. The app has been designed to collect data offline without an Internet connection. Plus, it has been built with the best privacy and security features on the market. The reliability of the software and your data security are our number 1 priority. 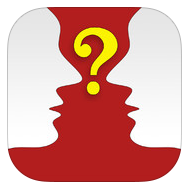 Each question types has been optimized for a responsive smartphone and tablet user experience. Our customers and their users love the app – just check out one of our customer testimonials. Enjoy higher response rates and happier users with iSURVEY and Harvest Your Data. Harvest Your Data developed an Android app that is marketed under the droidSURVEY brand name. Existing Android customers who are currently running the droid survey app can continue to use their droidSURVEY account with their new and existing surveys. If you are a new customer and plan on using Android devices please register for an iSURVEY account. Note: New droidSURVEY accounts can no longer be registered. Register for an iSURVEY account instead.